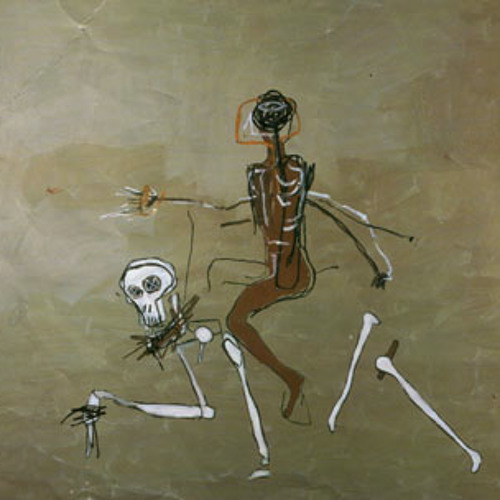 Scored for piano, viola and crotales, Riding With Death is named after the 1988 Jean-Michel Basquiat painting of the same title. This recording was made during the live premiere by Atlanta-based Chamber Cartel, for whom the piece was written. Note: The premiere took place in a covered outdoor venue, hence the steady and rather appropriate sound of rain. Awesome. Beautiful piece. Thank you!